Dubai: Work on the upgrade of roads in and around Dubai International City (DIC) will be completed next month with the phase two of the project currently 83 per cent ready, the Roads and Transport Authority (RTA) announced on Sunday. The mega project, being carried out in two phases, has already had significant impact in the traffic flow, with the opening of the phase one last year reducing journey times considerably. Supporting more than 110,000 residents and 200,000 visitors, the project includes widened roads, new flyovers and multi-tier interchanges as well as upgraded signalised junctions around Dragon City, DIC and Warsan Village. The phase one of the multimillion dollar project includes two flyovers, one leading into DIC from Al Awir road heading from the direction of Hatta and the other exiting from DIC towards Downtown Dubai. Being built in collaboration with Nakheel, the master developer of DIC, the project will help cater to increasing traffic, particularly after the expansion of Dragon Mart, said Mattar Al Tayer, Director-General and Chairman of the Board of Executive Directors of RTA. He added that the Phase Two of the project, which is expected to be open in March, includes improvements on Al Manama Street and as well as upgrade of several junctions, such as Al Manama-Al Warsan 1 Streets (previously Nouakchott Street), Al Manama Street-Mohammad Bin Zayed Road, and the International City-Al Manama Streets. Improvements of junctions also include the construction of bridges and signalised junctions enabling movement in all directions, such as Al Manama-International City Streets (previously Street 414), Al Manama-Warsan 1 Streets, and Al Manama Street-Mohammad Bin Zayed Road. 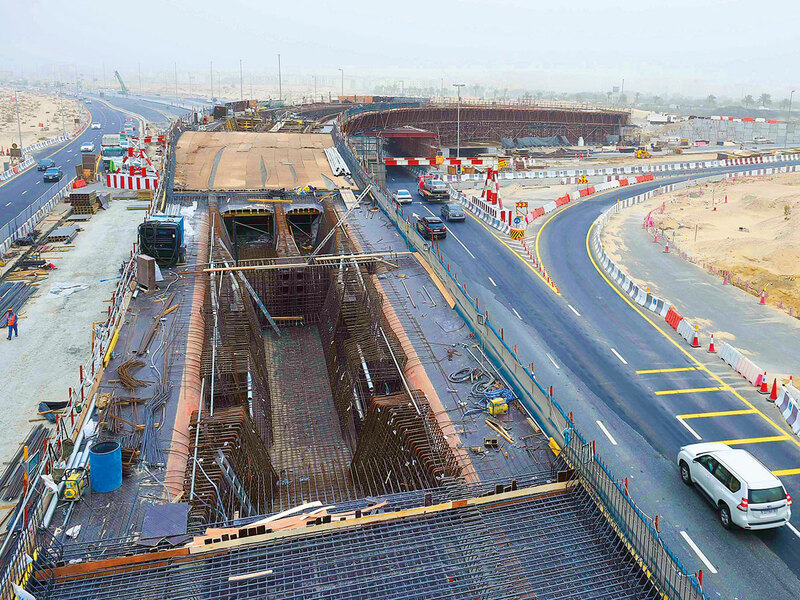 One of the major upgrades in the project will be the widening of the flyover above Mohammad Bin Zayed Road linking Al Manama Street from three to four lanes in each direction to increase its capacity from 4,500 to 6,000 vehicles per hour. It also includes increasing the number of lanes in the sector from Ras Al Khor Street to Sharjah, and from International City to Jebel Ali and Abu Dhabi, from one to two lanes. The step will double the capacity of slipways from 800 to 1,600 vehicles per hour.